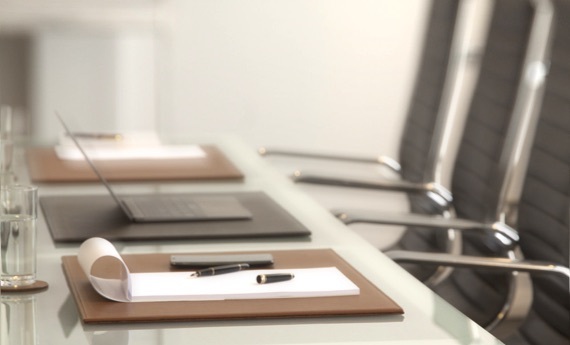 Customized with an engraving of your company's logo or your name, this document holder will give off a professional and elegant feel which would definitely make you stand out during your meetings. 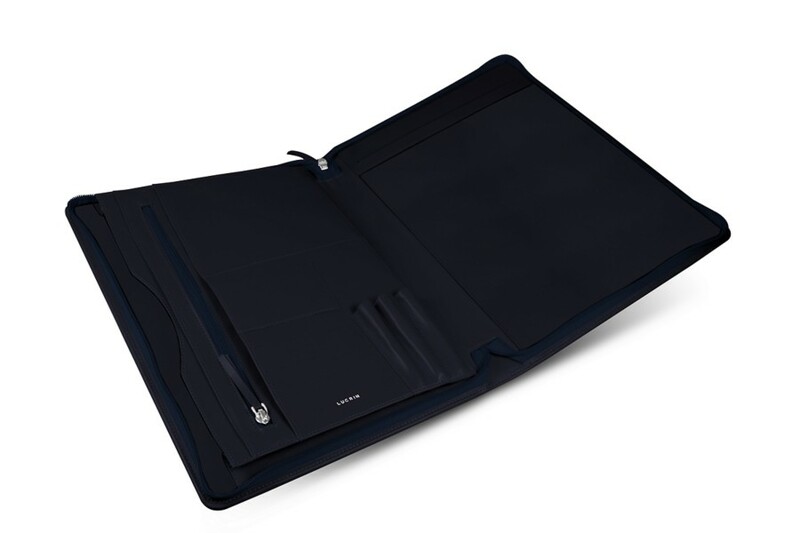 This well-equipped A4 document holder will accompany you in every step of your career. On the right, there is room for an A4 notepad. On the left: 3 slots for pens, 5 pockets for credit cards, and 1 pocket for business cards. 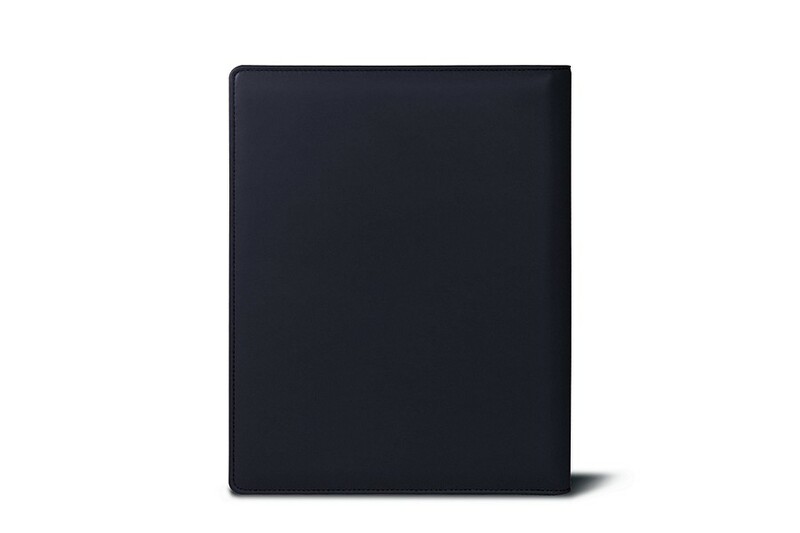 A gusset and zip-up pocket complement this document case that will meet all your professional needs. Needless to mention, the high-quality leather craftsmanship would not fail to astound the connoisseurs with the finesse of the work. It is the ideal companion during your corporate travels. 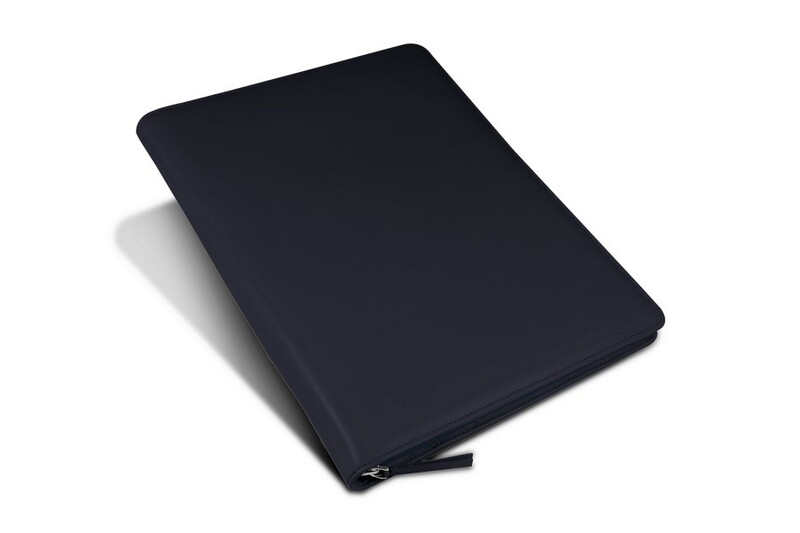 Note that this leather portfolio also fits the US Letter paper size. 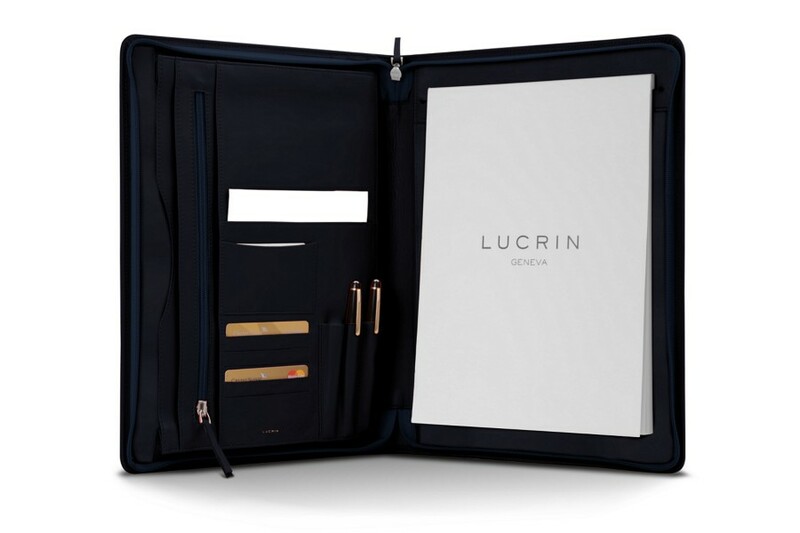 Once the A4-format Lucrin notepad we provide is used up, you can replace the latter with a US-letter size one.